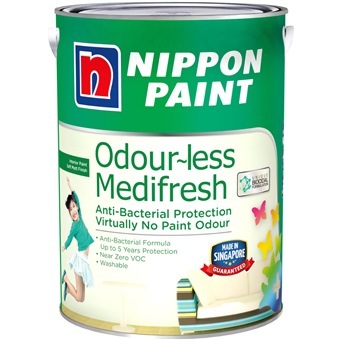 Nippon Paint Odour-less Medifresh is a high quality acrylic interior paint specially formulated to virtually no odour and making it a safer paint for your family and environment with improve indoor air quality. 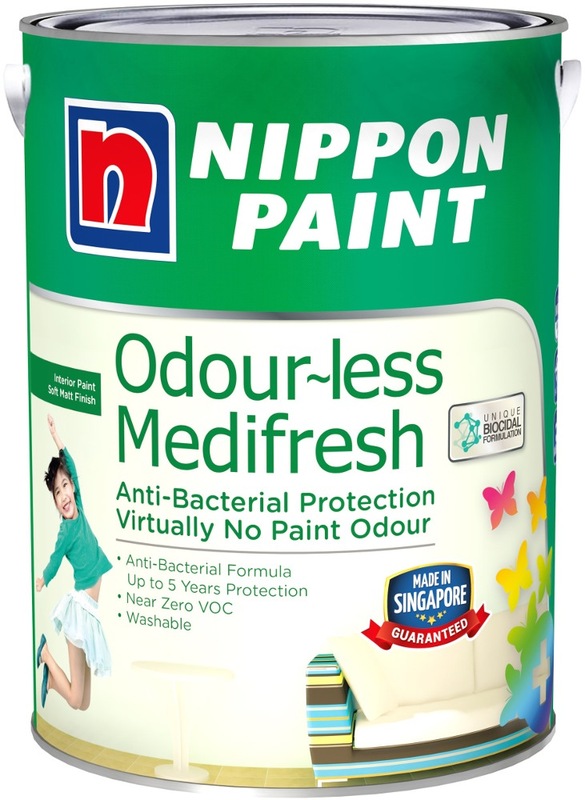 Nippon Paint Odour-less Medifresh is enhanced with antimicrobial protection to provide continuous protection against mold, mildew and bacteria that cause stains and odors on the paint film. It gives walls and other surfaces a long lasting elegant finish. It is ideal choice for eco-sensitive commercial and residential areas such as elderly, children or nurseries rooms.